"High Entropy Alloys as Filler Materials for Joining & Repair Applications"
Department of Metallurgical & Materials Engineering Colorado School of Mines-Golden, CO. In almost every manufacturing sector, challenges exist in joining and repair of similar and dissimilar materials; these challenges are exacerbated as component and system designs demand ever-increasing performance and interest in additive manufacturing of advanced multi-material structures continues to grow. The special characteristics of high entropy alloys (HEAs) such as the flexibility in design of constituent elements, sluggish diffusion, and the growing stability with temperature and increasing number of elements make HEAs strong candidates as filler materials for similar and dissimilar joining. In this study, a newly designed HEA, Mn35Fe5(CoNiCu)20, was demonstrated to be a good brazing filler metal for Ni-base superalloys. 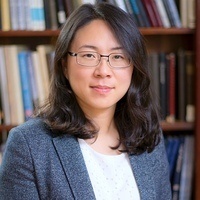 Prof. Zhenzhen Yu is an assistant professor in the department of Metallurgical and Materials Engineering (MME) at Colorado School of Mines, and is affiliated with the Center for Joining, Welding and Coatings Research (CWJCR). She received MS and PhD degrees from the Department of Materials Science and Engineering at the University of Tennessee, Knoxville and B.S. degree from Mechanical Engineering at East China University of Science and Technology. Before joining CSM, she worked as a postdoctoral research associate at Oak Ridge National Laboratory. Her research interests include weld metallurgy, development of similar/dissimilar joining technologies, weld consumables design, and simulation and characterization of transient material states. She received the National Science Foundation Faculty Early Career Development CAREER Award in 2019.